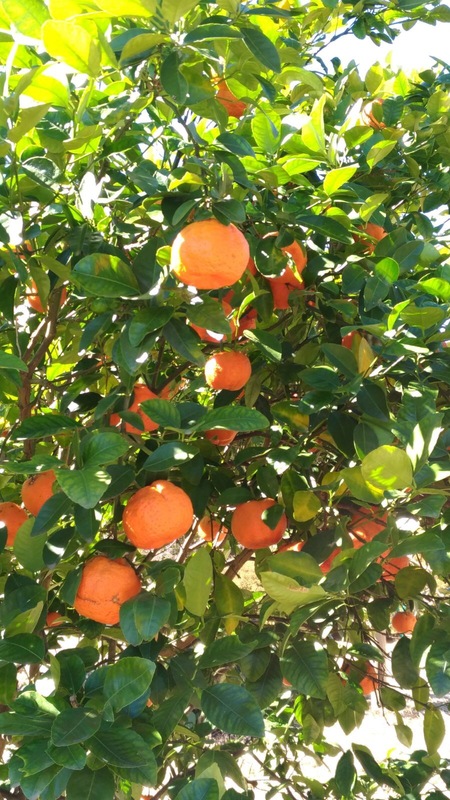 Camellias! These lush, shiny, dark green shrubs that burst in autumn, winter & sometimes spring, with large, fragrant flowers ranging from whites, pinks, purple-reds and a range of bi-colours are an easy option in all home gardens! These frost hardy bushes love a shady spot in your garden where they’ll be be protected from hot, drying winds and the summer sun. Camellias grow spectacularly in well drained, slightly acidic soil ranging between a pH of 6-6.5. 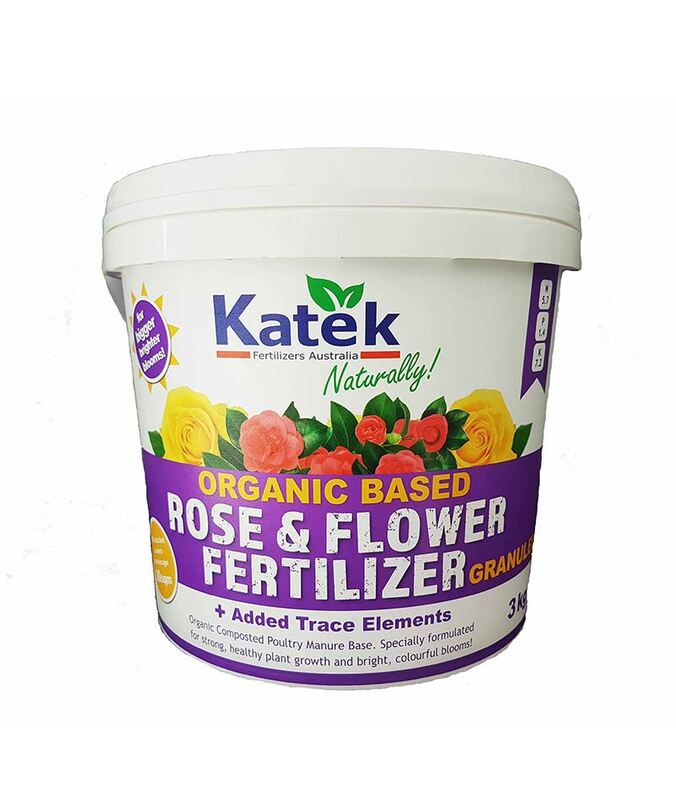 They are a low maintenance shrub that loves a good dose of our Katek Rose & Flower Fertilizer granules in December and also when the flowers are coming to an end. To care for their shallow roots, we recommend spreading a layer of Katek Not Just Mulch around the base of the plant to maintain moisture. 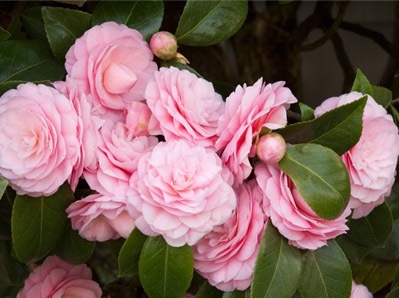 It is also a handy tip to get the most out of your camelia’s by feeding them with our Neptune Liquid Seaweed Concentrate on a ‘little and often’, regime every three to six weeks – to promote stronger roots and better flowers! 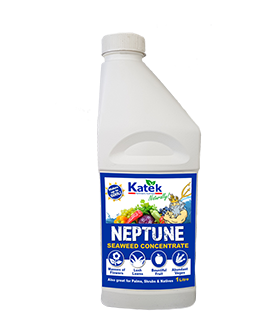 Katek Neptune Seaweed Concentrate Liquid Fertilizer! 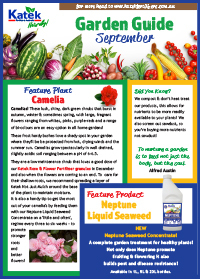 Our New Neptune Seaweed Concentrate liquid fertilizer is a complete garden treatment for healthy plants! Ruth Subramaniam, Chatsworth, South East QLD. Ruth’s garden is on a shale ridge at Chatsworth. 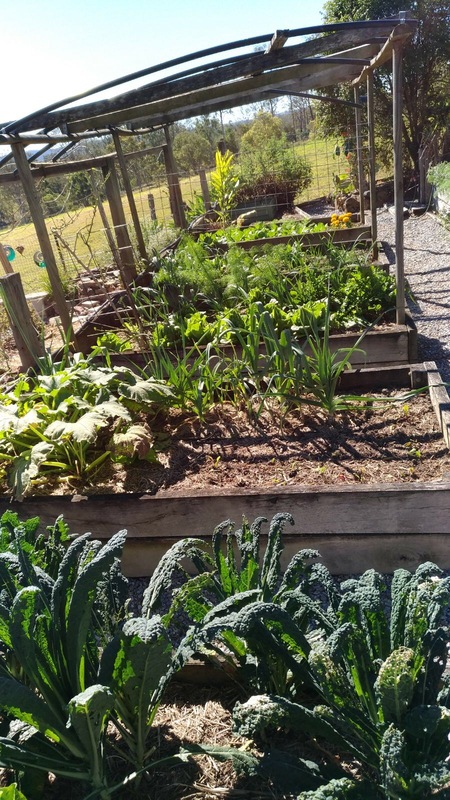 She uses organic fertilizer pellets on most plants, especially the vegetables. 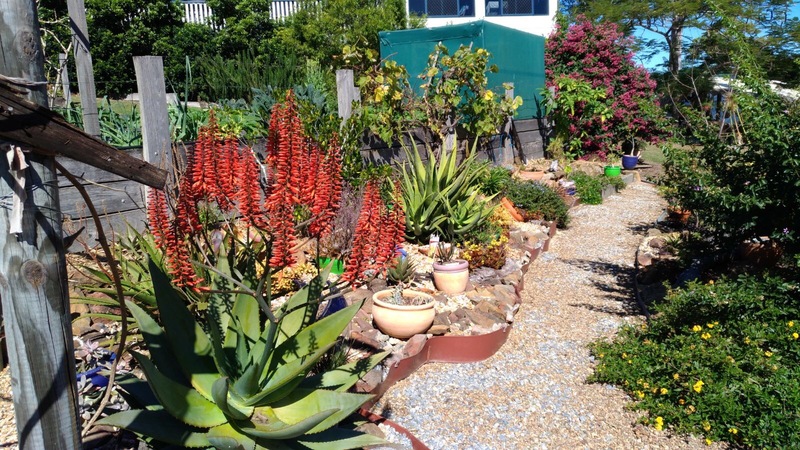 Ruth is keen to recommend Katek pellets as she has noticed that over the years her garden soil has increased in volume, friability and moisture-retention. Time to re-pot container plants, choosing bigger pots for those that have overgrown. Cut off spiraling, overgrown roots if using the same pot. Re-fill pots with Katek Potting Mix, which feeds plants for up to 6 months. Prune all flowers and plants that have previously flowered, encouraging new growth for Spring!